For more flower images, please visit Today's Flowers. I have never seen these before, very pretty. I love this flower. You hardly ever see them growing wild around here anymore. They have all been collected, I think. Your flower is nice and you are a good photographer. You are the second one today with this fun flower! And I have never seen it before! Great capture! And you have a great blog - with a lot of beautiful photos! I've never seen these either but they are very pretty. This reminds me of an orchid..very nice photos here! I love pink flowers. Perfect shots! The elephant shot is also great! Your ladyslipper is elegant and beautiful, and this is a great photograph. Thank you very much for sharing it with Today's Flowers. Great shots, I'm glad to see you found some lady slippers while you were here. tom: What a neat shot of the flower, so nicely done. BTW: I posted that heron from Monroe Falls and mentioned you on the site. gorgeous! 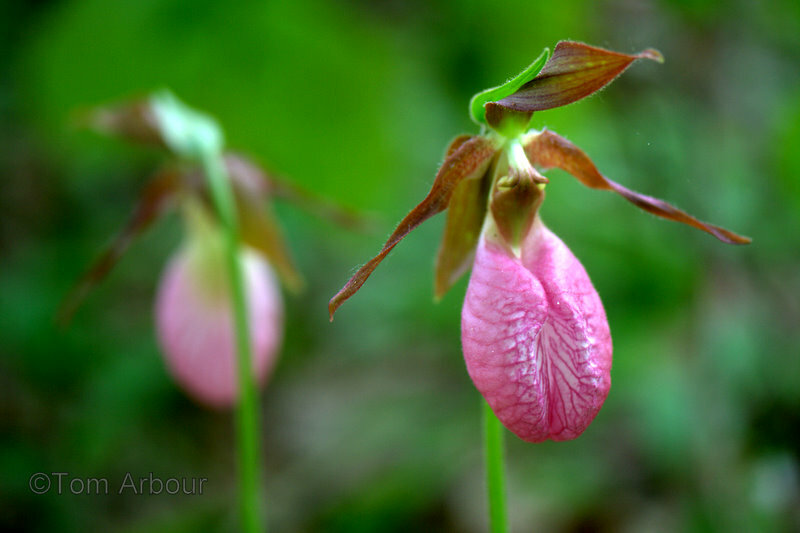 I knew pink lady slippers existed, but have never seen one. I haven't seen one of these since I was a youngster roaming the woods. Lovely.